Whether you’re born and bred in Dubai, or frequently visit the illustrious city for work or pleasure purposes, you must be familiar with the blazing summer heat of this region. While we bask in the glory of the sun and crave some downtime in the warm weather, it won’t be too long before we resort to air conditioners to soothe the heat. With summer just around the corner, it is advisable to look into your home and make it as comfortable as possible, especially in the air conditioning department. Simply switching it on won’t do the trick, as it needs to be fully prepared to function for hours on end in the summer. With the city’s scorching heat waves, AC Cleaning Dubai has become a mandatory process for it to work seamlessly. And with this beneficial guide, you can turn such a chore into an activity to look forward to. This step may seem pretty basic or overdone, but many of us forget to check the air filters inside the AC unit. Over time, a huge chunk of dirt and dust tends to buildup on them, especially in a city like Dubai where sand is found in abundance. These clogged filters lead the equipment to overwork itself, and not give out the desired output. Thoroughly cleaning them or getting it changed will increase the overall efficiency of the unit, and make you relish in the temperature you crave. The unit’s overall settings, especially the thermostat, tend to go haywire sometimes if it’s not being used frequently. Keeping a check on the thermostat to make sure that it’s working properly, or to upgrade it to what’s new in the market, will only ensure better, uninterrupted results in the months of unbearable heat. While running a check on everything else, it is important not to forget the unit that is placed on the other side of the wall. Outer units are more prone to harboring dirt and sand, as they’re in direct contact with Dubai’s outdoor atmosphere. In addition to that, they can also garner insects, leaves, twigs, and all outdoorsy things that need to be eradicated as soon as you lay eyes on them. Turning it off, and brushing it up or hosing it down may do the trick if the damage is minor. Some of you may not be familiar with the technicalities that make an AC work, but it is important to know that your AC unit has certain coils that need to be inspected as well. The AC’s evaporator and condenser fit into this category and are prone to hosting sand and dirt as well which will restrict the airflow, eventually. Keeping these clean by wiping them or brushing them up is also highly recommended. If the place where your outdoor unit is situated is not leveled properly, it can have adverse effects on the quality of air it blows. You can try checking the levels through a spirit level and level it up with gravel underneath if it isn’t proper. By doing so, you will ensure the efficiency of the unit, and experience a seamless and competent output. A crucial step in the whole process of AC cleaning Dubai is that of cleaning the air ducts. As they are usually out of sight, they are often neglected and tend to get filthy over time. This amassed build-up can vary from pet dander and bacterial mold, to unpleasant debris and dust mites. Moreover, even rodents tend to make a home in these vacant air vents. If you’re feeling up to the task, you can try to clean up all that is visible by yourself, but it is strongly suggested that you read the Do’s & Don’ts Of AC Cleaning in Dubai in order to do the job efficiently. While some of these tasks can be done easily through a do-it-yourself approach, it is crucial to get the professionals on board and let them do their job. AC cleaning in Dubai is more common than you think, given the atmosphere and climate, and companies like Saniservice are fully equipped to do the job in the finest manner. 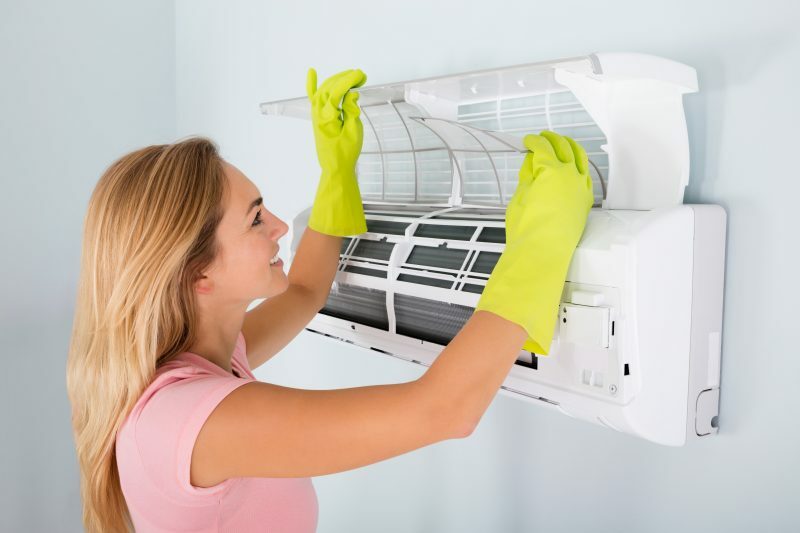 By hiring professionals, you’ll have the liberty of sitting back while they elaborately inspect the intricate parts of your AC unit, recommend any potential repairs that they see, and nip all the rising problems in the bud. Rest assured, you will be left with a significantly improved air quality, and your summer months will pass by in a state of comfort when you contact Saniservice. Their reliable, quality-based services have proven to be some of the finest in Dubai, and it’s about time you get a taste of this luxury in your own home.